The subject of analysis on Lie groups comprises an eclectic group of topics which can be treated from many different perspectives. This self-contained text concentrates on the perspective of analysis, to the topics and methods of non-commutative harmonic analysis, assuming only elementary knowledge of linear algebra and basic differential calculus. The author avoids unessential technical discussions and instead describes in detail many interesting examples, including formulae which have not previously appeared in book form. Topics covered include the Haar measure and invariant integration, spherical harmonics, Fourier analysis and the heat equation, Poisson kernel, the Laplace equation and harmonic functions. Perfect for advanced undergraduates and graduates in geometric analysis, harmonic analysis and representation theory, the tools developed will also be useful for specialists in stochastic calculation and the statisticians. 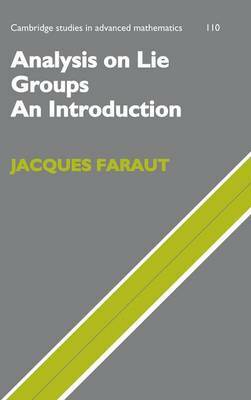 With numerous exercises and worked examples, the text is ideal for a graduate course on analysis on Lie groups.